Yellow/gold in color. The nose has sulfur/smoke and lumber. Someone mentioned marshmallow, and yes, that was on there too. On the palate, this has a nice texture. Very plush and creamy. Lots of oak and charred oak. A bit of lemon on the finish but also a bit of heat. This is a stylistic thing and some will love it and for others, it is just not the type of Chardonnay the want. If you are in the former, add a few points to the score. If you are in the later, lay it down for 3 to 5 years and let the oak integrate a bit and hope the fruit can emerge. Yowza! What a great wine. Seems to be at peak right now though should stay here for a while. Purple in color, ruby at the rim. What a great nose. Cassis, black licorice, spice and slight blueberries. Very deep. On the palate, this is deep and complex. Lots of black cherry and cassis fruit. Underlying minerality. Spice. Amazing texture; luxurious. Lots of glycerin. Long finish. Will work with bigger foods. One of those wines where each sip makes you want another. Perhaps the best Merlot made in America. This is drinking great right now, at or near peak. Purple in color, thin ruby line at the rim. The nose is great with coffee, cherries, black cherries, and spice. On the palate, this has a wonderful texture. Rich and luxurious. Slight tannins. Black cherry fruit. Long finish. This is deep and voluptuous with lots of complexity. This should be here for a while (ten years?) and still last another decade after that. This is an interesting wine. 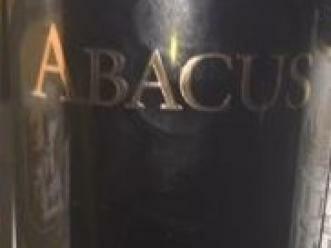 It is a Cabernet made in a Solera style. The first vintage had 1992 thru 1998. This is the second vintage and then included a Solera of 1992 thru 1999. Purple in color, ruby at the rim. The nose has cedar, cassis, dust and with air, an earthiness comes out. Layered and complex on the palate, Cassis and spice and underlying earthiness. Good finish. Basically, this is high end Napa Cab, but the Solera gives it a bit of complexity. Needs big foods. From a 375ml bottle. What a great size for a couple of glasses of white wine before moving on to reds. More wineries should produce these and also 500ml. Green gold in color. This is young but already showing a lot. The nose has vanilla and lemon curd. On the palate, great acidity. The lemon curd is strong with lighter vanilla notes. Lovely texture. Long finish. This wine is very food friendly but also will drink well on its own. It should improve over the next few years. This is in a great spot right now. It is still youthful and rambunctious but has calmed a bit since release. Purple in color, ruby at the rim. The nose has raspberries, slight strawberries with underlying coffee grounds. On the palate, this is juicy with a great texture. Delicious. Raspberries with underlying char. Clean. Will work with spicy or heavier foods. This should evolve over the next decade, but this style will fade in a year or so to be a kinder gentler wine. Its good right now.